Wooden decking, a most versatile outdoor material that can be used in a myriad of ways to add a cozy and stylish touch to your garden, roof terrace, PES (private Enclosed Space) or balcony. Here are seven ways to use it. Even if you use it as intended, to deck the floor, you can get creative with the material. Laying it horizontally or vertically does make a slight difference to the overall look. Pair it with some artificial grass, and you get another look. Using decking to cover balcony planters is also popular with many homeowners. It’s important to check your condo regulations before doing this. In our experience, the planter cover must be made removable in order to comply with most estate management regulations. 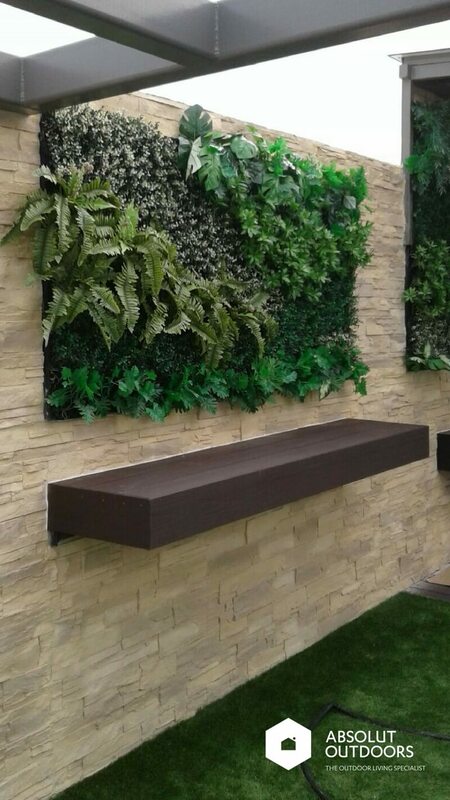 As you may be lifting the planter cover made of decking, you need to ensure that the base is made of equally sturdy and rot-resistant material like composite wood. Sometimes, in order to keep costs low for customers, some decking contractors end up using low quality natural wood as the frame beneath the beautiful decking they lay on top. 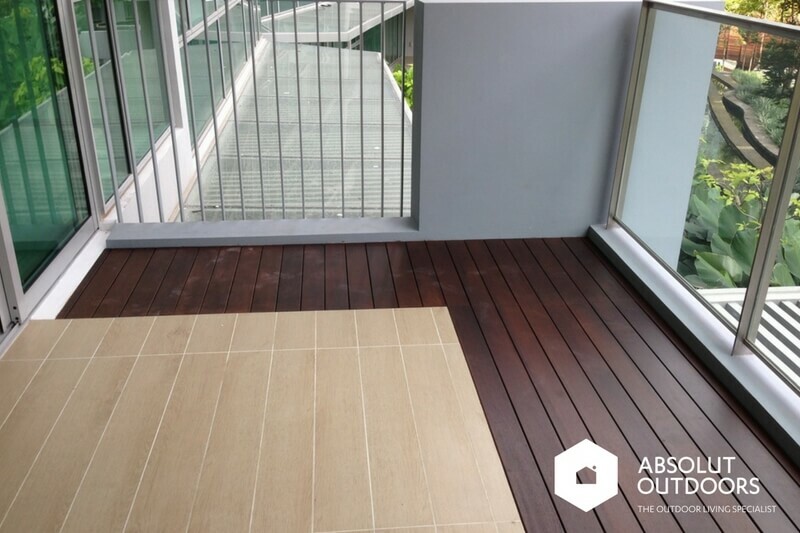 Everything looks perfect until the rain that inevitably falls on balconies cause the underlying natural wood to rot and cause problems like uneven flooring, or worse, termites for the homeowners. To prevent such issues, we only use stainless steel or composite wood batons as the base for all decking jobs. 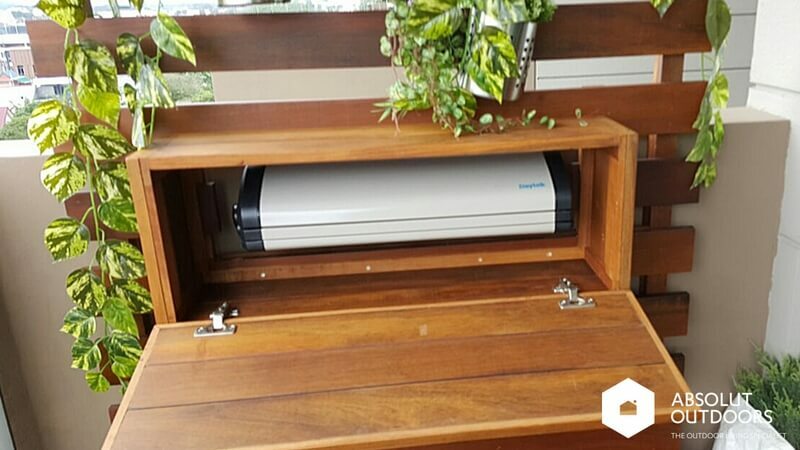 Block off air-con compressors or other unsightly but totally necessary fixtures with decking. 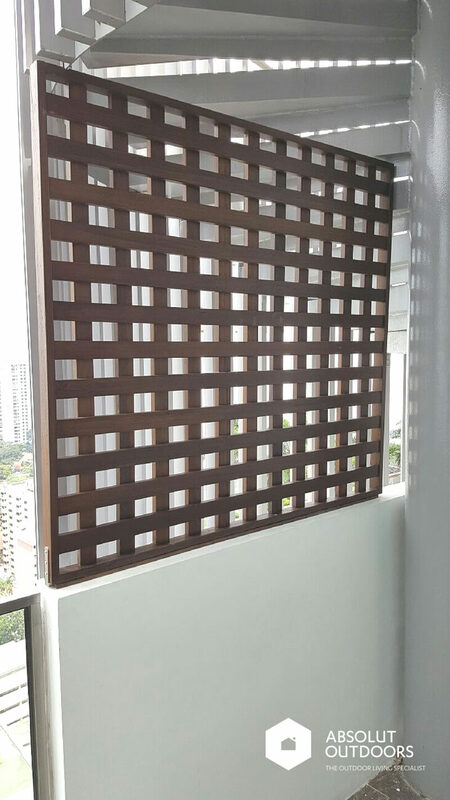 Other than beautifying the space, the decking acts as a sun and rain shield for those fixtures that they screen off. 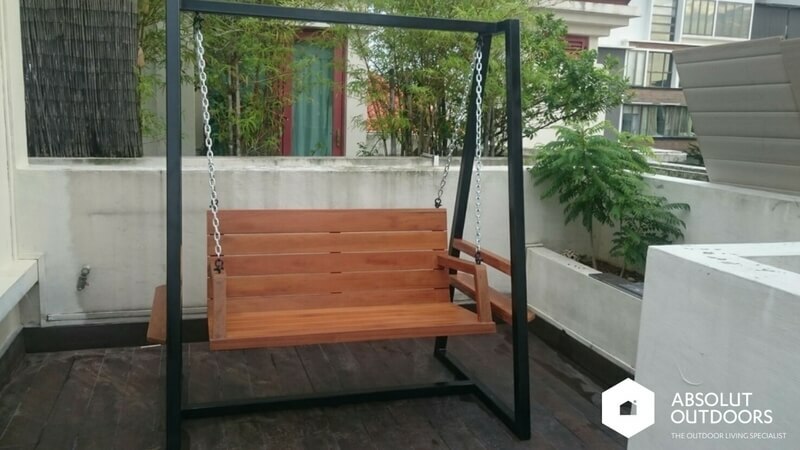 Custom build a swing chair or bench with wood. 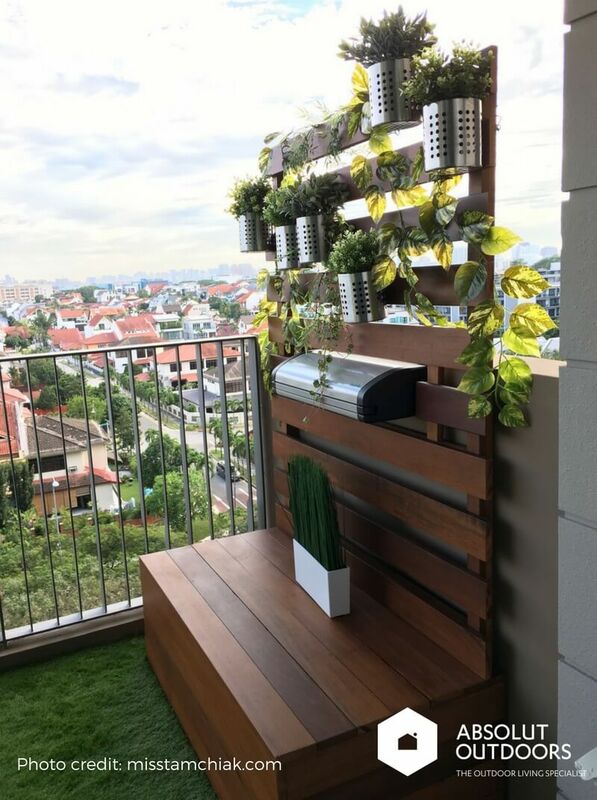 You won’t have to worry about store-bought swings or benches not being able to match your outdoor décor or fit odd spaces in your balcony, roof terrace or garden. 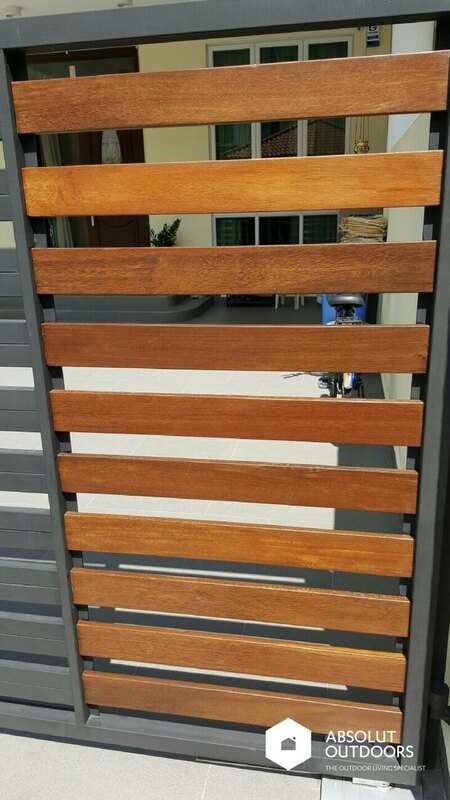 As it’s an outdoor material, wooden decking can be used on your gates as well. They add a warm touch, and can provide a coherent theme to your outdoor décor. Trying to occupy the kids at home so that you can have some “me” time or even couple time with your spouse? 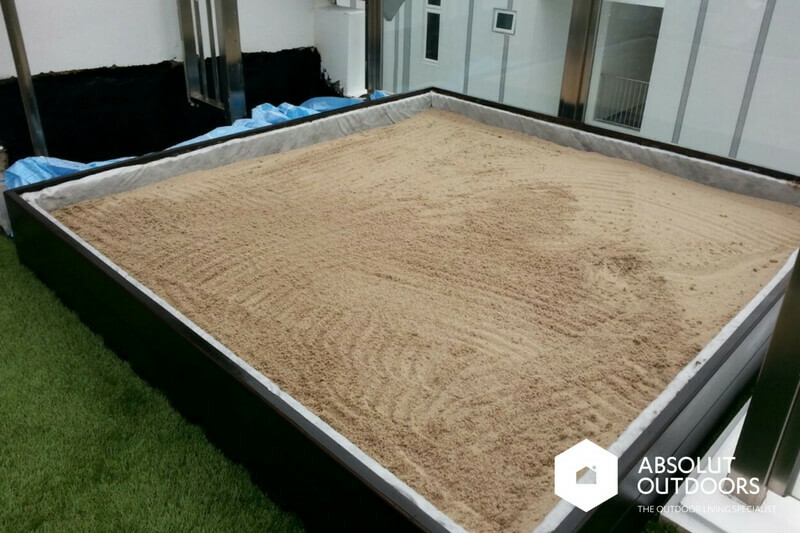 Build your kids a sandpit then. They can play safely at home under your watchful eye, and hopefully, you can finally have time to read that chick lit that’s been sitting on your bookshelf for way too long. It’s a storage chest, it’s a bench. It’s a storage bench. We’ve all got to multi-task, be it at work or at home. Storage benches are not exempted from multi-tasking as well. Use the same wooden decking as simple shelving on your wall. 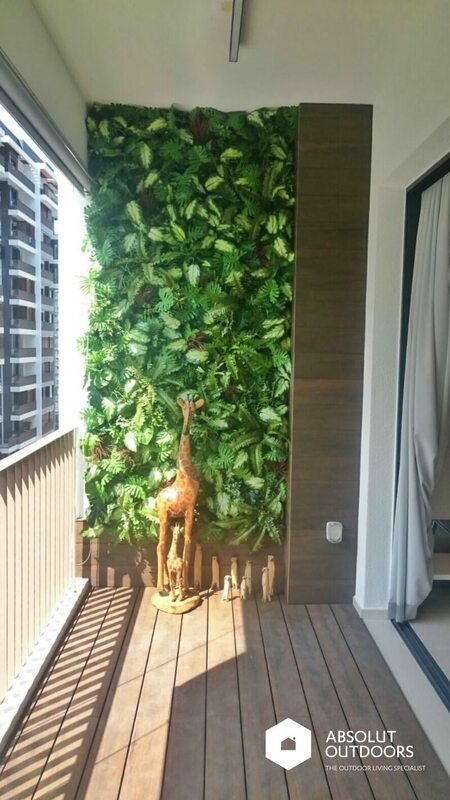 Throw in an artificial green wall to complete your very own outdoor haven at home. Want some more ideas on how to use decking for your home or a no-obligations quotation? Let us help! Contact us at enquiry@absolutoutdoors.com today.